The School of Engineering’s Fowler Student Design Center (SDC) is a 14,000-square foot facility that is a hub for applied learning to allow students to use their entrepreneurial spirit and encourage engagement and creativity. 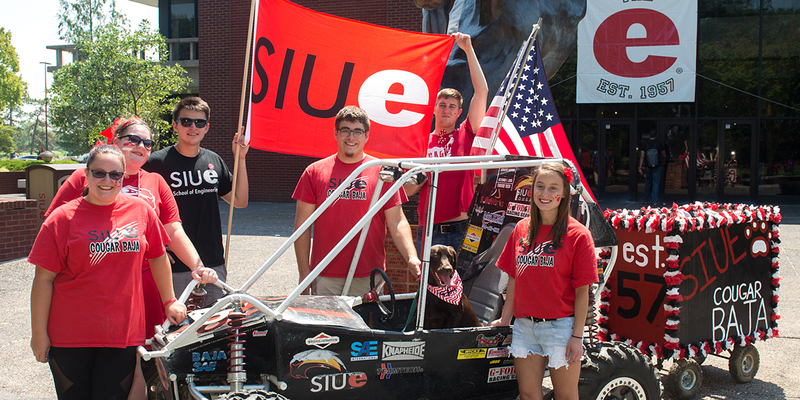 The ME student will use this space for senior design projects, collegiate competition teams, clubs and organizations. It includes design team workspaces, a project prototyping workspace, innovative design labs, and an engineer's alley to showcase projects. Students have opportunities to engage in numerous extracurricular activities ranging from participating in different student organizations to actively working in various design and competition teams. The department currently has six student organizations, but our students are also active in a number of organizations outside the department. Undergraduate Research and Creative Activities Program (URCA) is a unique and innovative program that allows undergraduate students immerse themselves in research. URCA has two programs. URCA assistants work on the faculty-led research or creative activities. URCA associates work on their own research project and they are the principal investigator of the project. Active participate of our faculty in URCA program provides an invaluable opportunity for our undergraduate students to learn research and to transcend beyond the traditional classroom learning. The Career Development Center (CDC) provides helpful information and career counseling on internship, co-op, and job opportunities. Many local companies have provided internship positions to our students. Hands-on and teamwork experiences gained during internship help students to relate theory to real-life engineering practices. Internship provides an excellent opportunity for transition from school to engineering jobs.